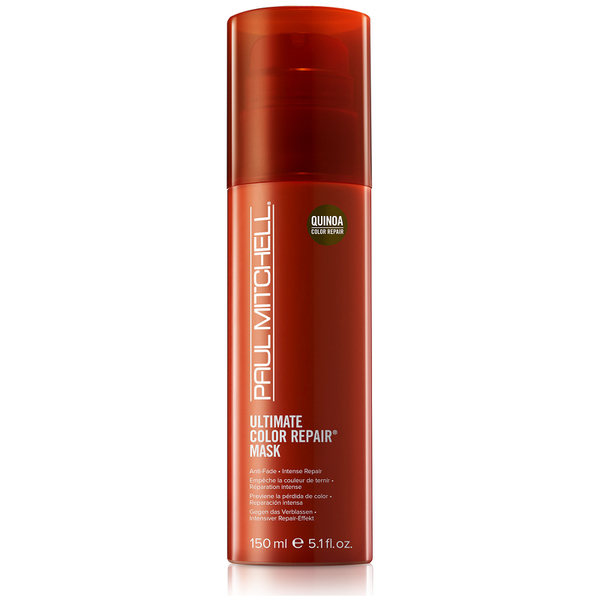 Meet the needs of colour-treated hair with the Paul Mitchell Ultimate Color Repair Mask; an ultra-rich hair treatment designed to restore health to coloured locks. 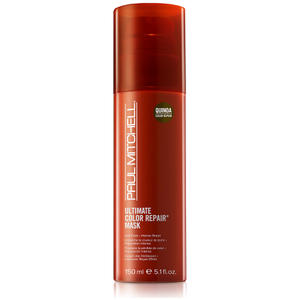 Effortlessly combed through damp tresses, the easy-to-use mask replenishes hair with its Quinoa Color Repair Complex, which locks in colour and has a reparative effect. A hair-loving blend of Shea Butter, Jojoba and Soybean oil works to envelop hair in nourishing vitamins that hydrate the fiber and leave locks touchably soft with reflective shine. With potent antioxidants to shield against colour fade, the hair mask leaves coloured hair vibrant, moisturised and salon-fresh. Apply and comb through clean towel-dried hair. Leave on for 5-15 minutes, then rinse thoroughly. For deeper conditioning, wrap hair in a warm towel or apply heat. Style as desired. For best results, use with the system of Ultimate Color Repair® Shampoo, Conditioner and Triple Rescue®.